I mentioned Richard Hattatt on the previous page. 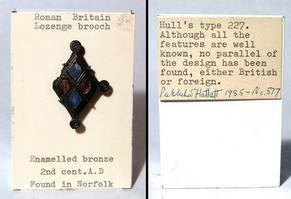 He was a collector in the UK who between 1982 and 1989 published four books describing the brooches in his collection. The volumes contain some nearly 2000 brooches illustrated mostly by his own well done drawings ranging from the Bronze and Iron Ages through the Roman and Anglo-Saxon periods to Medieval. Most are from Britain with others from the continent and the Near East. 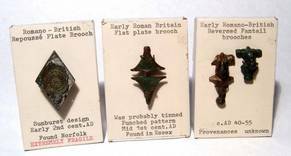 There are also some comprehensive brooch date charts, and a section summarising the types and distribution of some types of brooches. The second part of the 4th volume contains several hundred other artefacts, mainly items of personal adornment, toilet articles, dress fasteners and ornaments, seal-boxes and locks, surgical and dental instruments, votive models and many other artefacts. 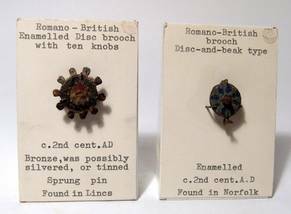 R.Hattatt Ancient and Romano-British Brooches, Dorset 1982. 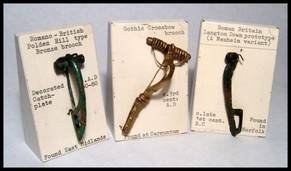 R.Hattatt Iron Age and Roman Brooches. A second selection from the author's collection, Oxford 1985. R.Hattatt Brooches of Antiquity: a third selection of brooches from the author's collection, Oxford 1987. 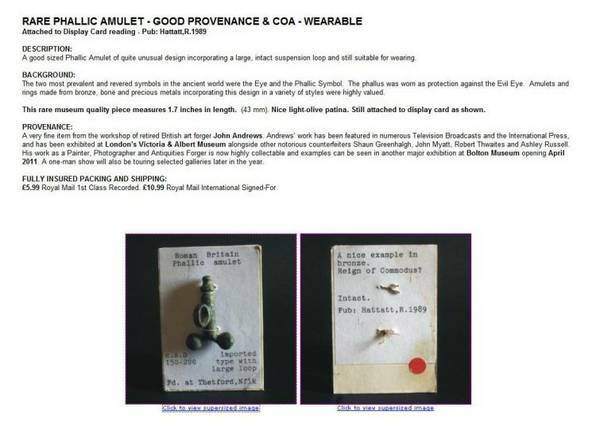 R.Hattatt Ancient brooches and other Artefacts. A fourth selection of brooches...., Oxford 1989. His large collection was broken up and sold some years ago. A very large number of his pieces were mounted on double sided card stands with typed and annotated descriptions. 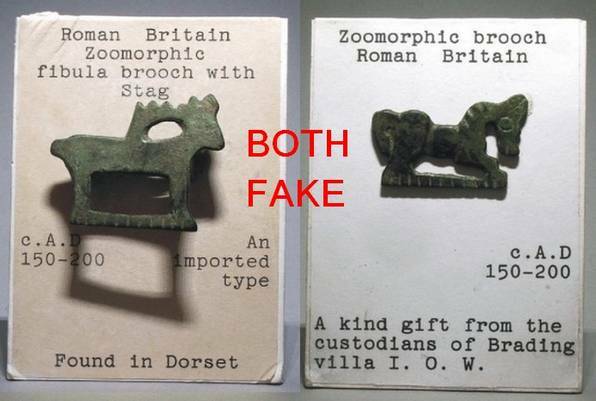 Be aware though that fake Roman brooches and other small bronze artefacts are on the market mounted on card stands very much like these! 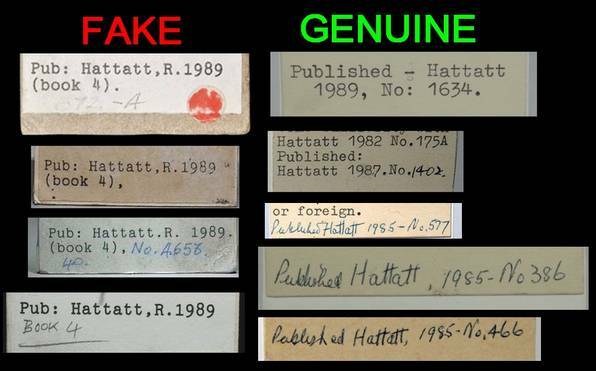 They are sold as "reproductions" but I have now seen them on the market pretending to be Hattatt originals. 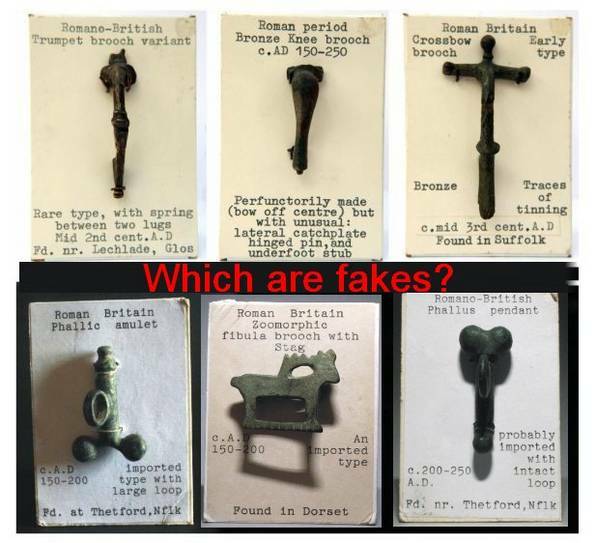 Why these are so ""dangerous" is because they are now re-appearing on the market quite overtly pretendng to be real Hattatt brooches. 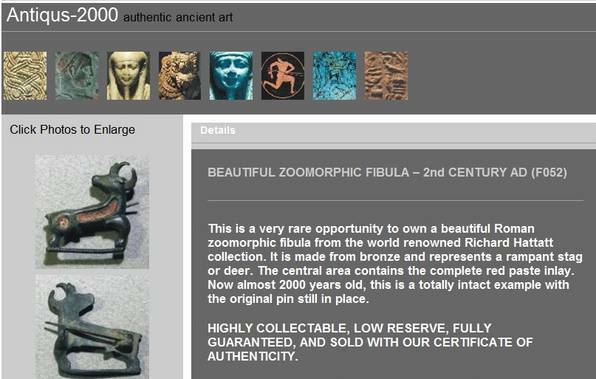 The main seller of there, who says he makes them himself (which he doesn't: he sources them from the same places other sellers of fakes source them from), used to be a "dealer". He was selling the same fake Hattatt brooches then as well.